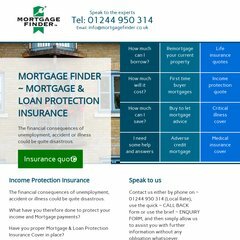 Topics: Mortgages, First Time Buyer, Buy To Let, Savings & Investments, and Mortgage Protection Insurance. Fasthosts Internet Limited - Uk S Largest Web Hosting Company (England, Gloucester) is the location of the Apache server. It has 2 DNS records, ns1.livedns.co.uk, and ns2.livedns.co.uk. Its IP Number is 213.171.218.133. PING www. (213.171.218.133) 56(84) bytes of data.